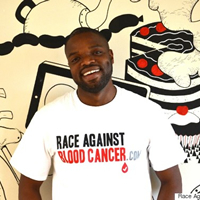 Alex Morrison, one of the co-founders of Race Against Blood Cancer caught up with Natasha Hinde from the Huffington Post. 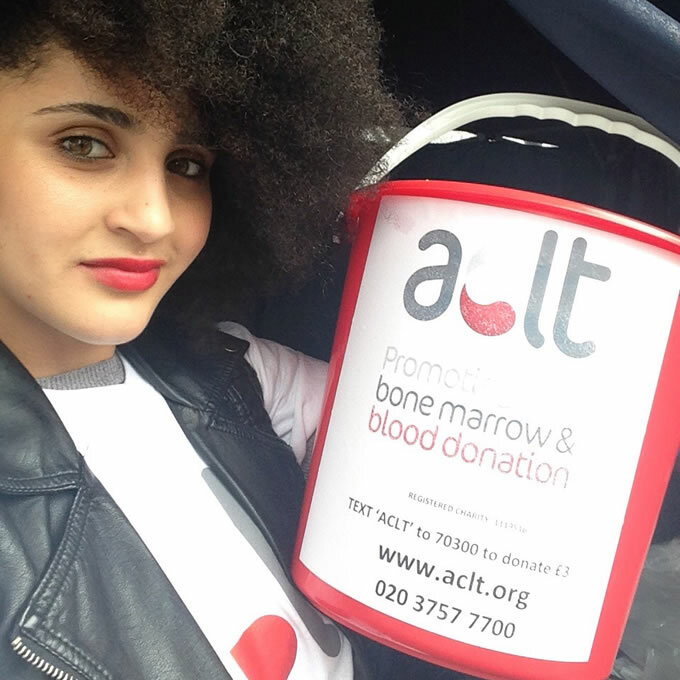 Check out how Alex and the team were touched by the cancer diagnosis of a close friend and the ambition of Race Against Blood Cancer to give every blood cancer patient an equal chance of surviving, thanks to finding a potentially lifesaving donor match. 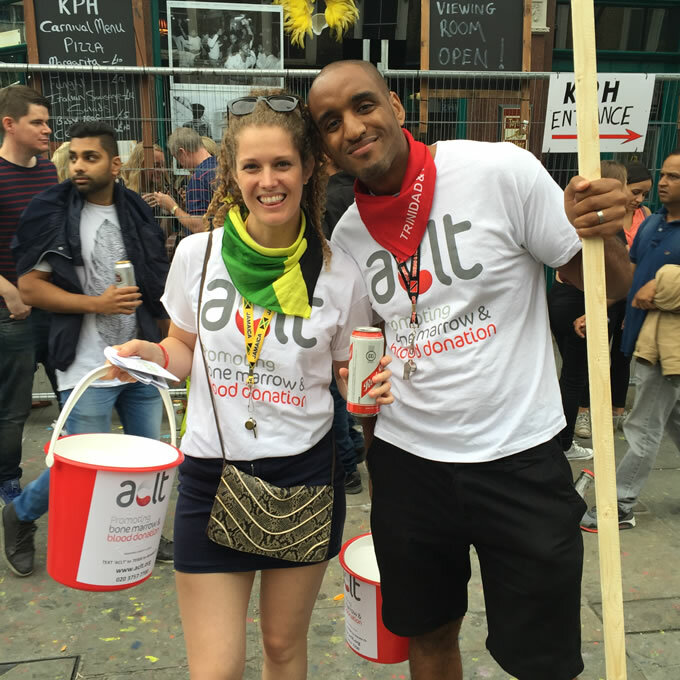 Last weekend among the feathers, dancing and blaring soca music, a team of Race Against Blood Cancer volunteers were in force with the Afro-Caribbean Leukemia Trust (ACLT) raising awareness and registering new stem cell donors at Notting Hill Carnival. For those not familiar with Notting Hill Carnival, it is an annual event in the streets of west London in the UK that has been running since 1966. 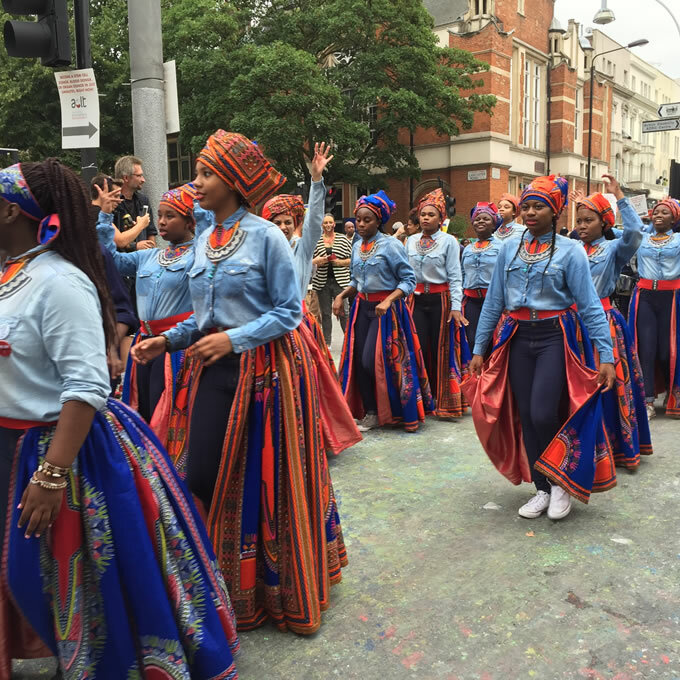 The event celebrates the heritage of London’s West Indian residents but has evolved to more widely celebrate London’s diversity and community. 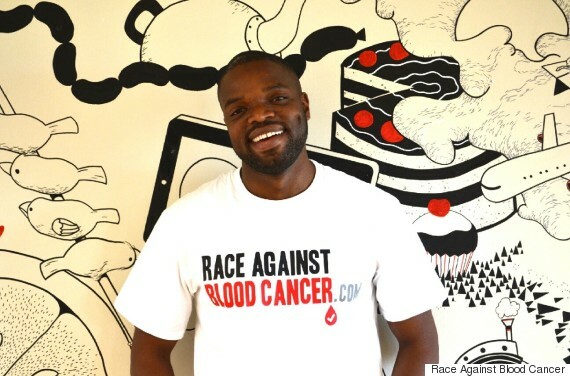 Donors of Afro-Caribbean descent are significantly under-represented on registries around the world, resulting in a challenge for patients of this heritage to find a donor match. 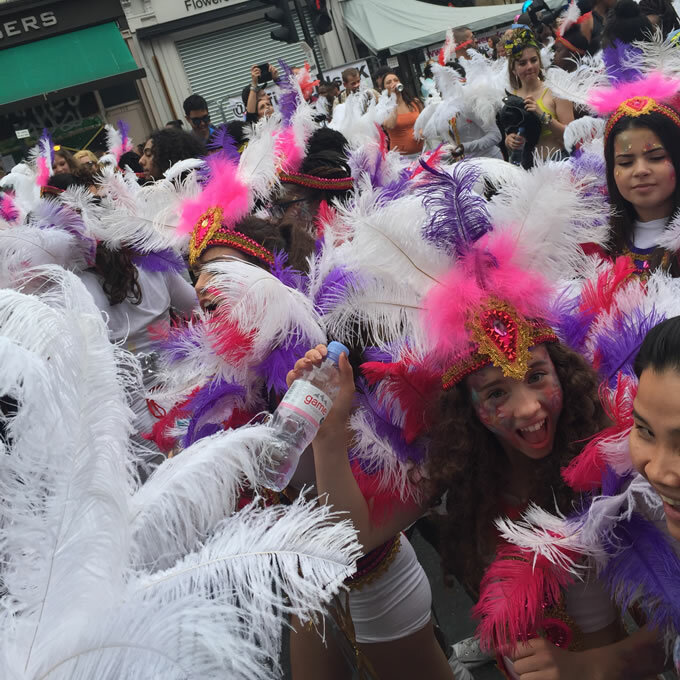 Notting Hill Carnival is one of the largest street parties outside of Rio with approximately 1 Million attendees each year, so what better place to find a diverse crowd of potential live savers! 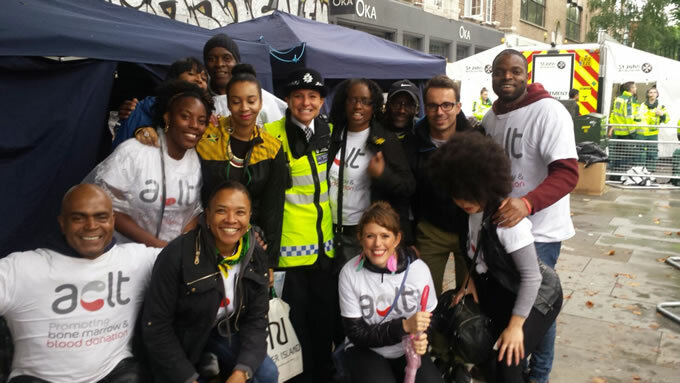 The inspiring team at ACLT partnered with the Metropolitan Police and had 2 tents over the 2-day event where we could direct the revellers and get carnival-goers to sign up. 8 volunteers from Race Against Blood Cancer held awareness signs, donation buckets, engaged and educated the crowd with the ultimate goal of driving stem cell donor sign ups. Other than being a lot of fun the carnival was a great success, Race Against Blood Cancer helped in achieving a total of 438 stem cell and bone marrow donors. This is a fantastic result and we thank all the volunteers that took to the streets with signs, whistles, and feathers to raise awareness and to help sign up a number of potential life savers. The Race Against Blood Cancer team looks forward to supporting ACLT next year. We’ll be working on our dance moves until then! Check out some pics from the event below.